John died about 2 weeks after the deaths of his older sister Welthy Berry (1860-1865) and mother Anna Jewell Berry (1836-1865) 3 days short of his 3rd birthday. Photo taken from Find A Grave memorial site for John Berry – 50668552. Unable to find my photo of the headstone. 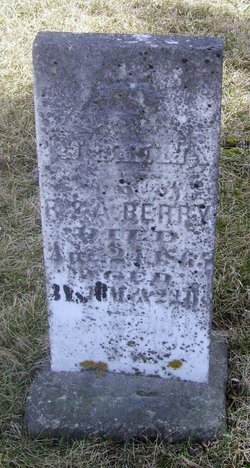 Find A Grave, database and images (https://www.findagrave.com : accessed 08 December 2018), memorial page for John Berry (1861–21 Aug 1865), Find A Grave Memorial no. 50668552, citing Kisling Cemetery, Urbana, Benton County, Iowa, USA ; Maintained by Find A Grave (contributor 8).